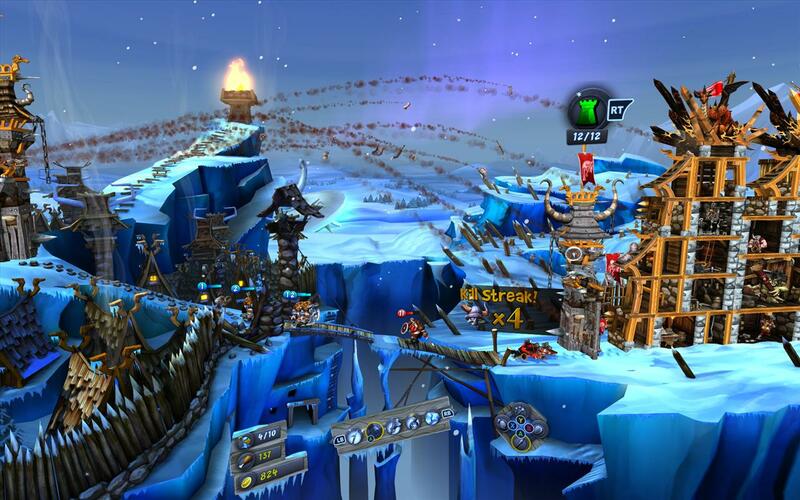 Over the past couple of years, I've been pretty open about my love affair with Zen Studios’ CastleStorm. Both the original Xbox 360 and subsequent Definitive Edition releases have ranked as some of my favorite games in recent memory. I just love every single aspect of this title and it appears that I'm going to love it regardless of the platform it launches for. 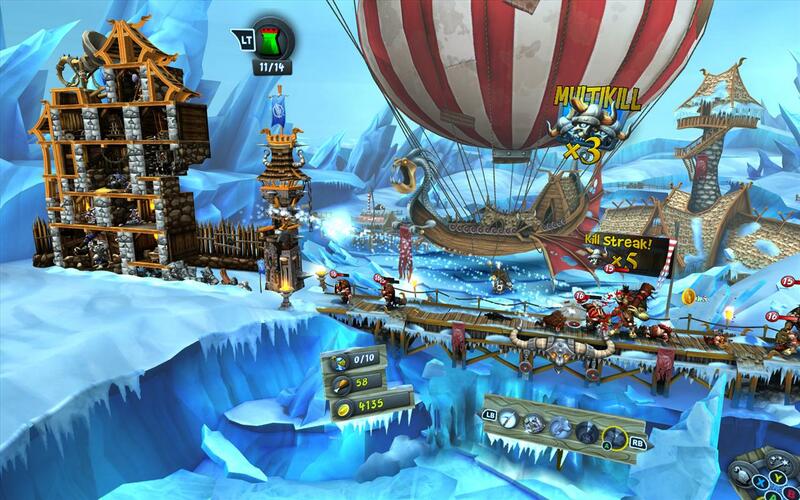 That includes the recently released GearVR and Oculus Rift versions of the game. Zen was one of the first major developers to jump on the VR bandwagon with their Zen Pinball series and it didn't take them long to follow that up with a virtual reality version of CasteStorm. If you have played the game on any of the previously released platforms then you should know what to expect from a gameplay perspective. This is the exact same game that I fell in love with back in early 2013. 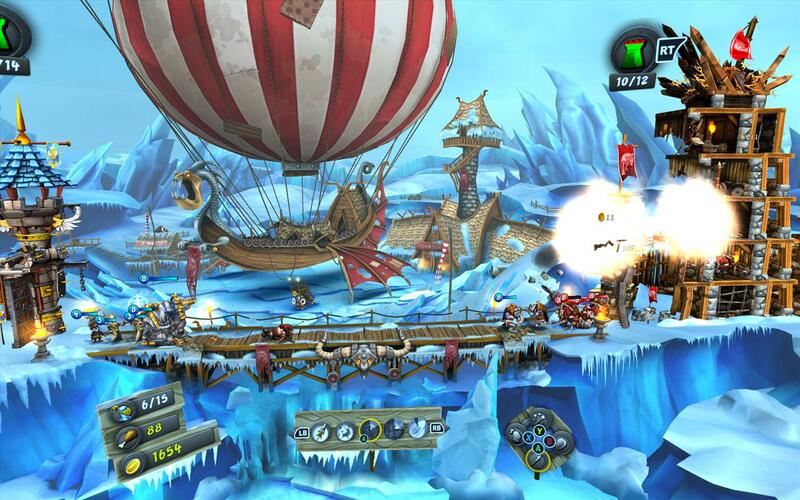 The concept remains the same, taking the Angry Birds formula and mixing in a combination of tower defense and castle capture, along with dashes of classic hack-and-slash action. There's also a nice dose of LEGO building included with the building your own castle and keeps. The game has a ton of variety to it and offers a lot more content than I ever expected. I'm not going to spend a ton of time evaluating the core gameplay experience. If you want to go a little more in-depth on that topic, you can check out my reviews of both the original 360 release and the updated PS4 version. I will however give an overview of what you can expect if you're new to the game. 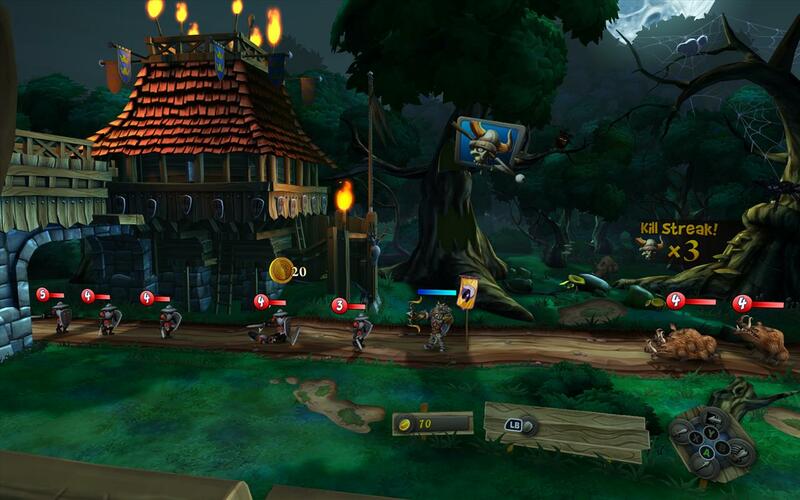 The premise is relatively simple: you have a castle on one side of the screen and your enemy has one on the other. Using a long range ballista, you have to knock down the walls of the enemy’s keep or secure their flag in order to win. At the same time, you have to take steps to make sure that your castle remains standing long enough for you to claim victory. In the beginning you’ll start with simple arrows and spears but eventually you’ll work your way up to a variety of more devastating projectiles. They range from boulders to split into multiple blocks, flatulent sheep, and even exploding apples. Yes, exploding apples! It gets a little crazy to say the least but it is a ton of fun every step of the way. In addition to launching various projectiles at your enemies you also have a wide variety of troops and magical spells that you can cast. Your troops range from simple infantrymen, which are basically cannon fodder, all the way it to armored knights on horseback in magical priests that heal warriors on the battlefield. Along with your magic spells, you can transfer the hero of the game on to the battlefield and take direct control of him to fend off the enemy forces. As you progress through the story and the various missions, you will earn money that can be spent to power up all of your weapons and abilities. You have a lot more at your disposal than you can carry into battle at any one time, so you have to pick and choose your load outs before you go into battle. There also a variety of side missions that will come into play that throw you into situations with non-standard gameplay. Some of these may be hack-and-slash style battles in an arena while others may be simple target practice against wild animals around the castle. As I mentioned earlier, there is also a LEGO aspect too as you can construct and design the layout of your keep. All of the different rooms that you have access to will affect your tools and weapons. You'll have to level and maintain a strong armory in order to use improved projectiles while also housing equality barracks in order to provide good troops. As your castle, or your enemy’s for that matter, is blown apart through battle, losing these rooms will have a major affect on your abilities. For example, if you're barracks is destroyed, you are no longer be able to summon troops on to the battlefield and have to rely solely on your magic and your ballista. There really is a lot to manage in the game. However, it is all rolled out to use slowly over the course of the campaign and introduced to the player in a manner that teaches them as they are added. Now, as I mentioned above, we are talking about the VR version of the game here. Specifically, we’re looking at the Samsung GearVR version. 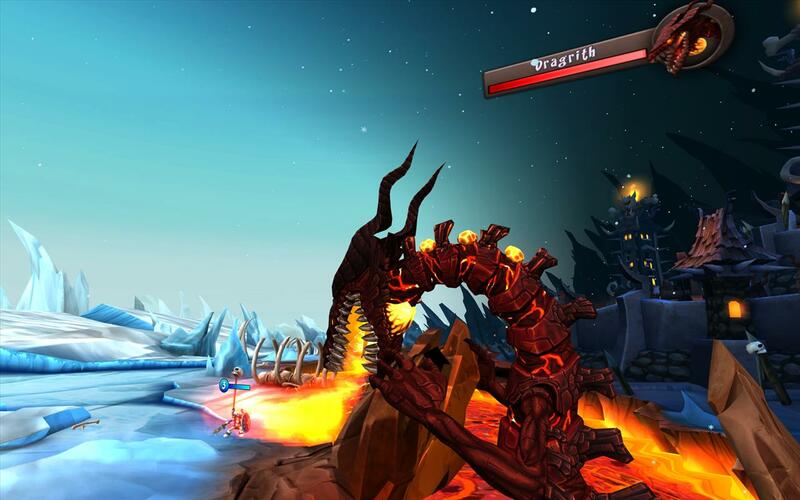 While the core gameplay experience of CasteStorm remains the same, Zen has utilized the VR capabilities of the GearVR to provide a much better view of the battlefield. It is a ton easier to look at the entire battlefield as the default view is scaled all of the way back. 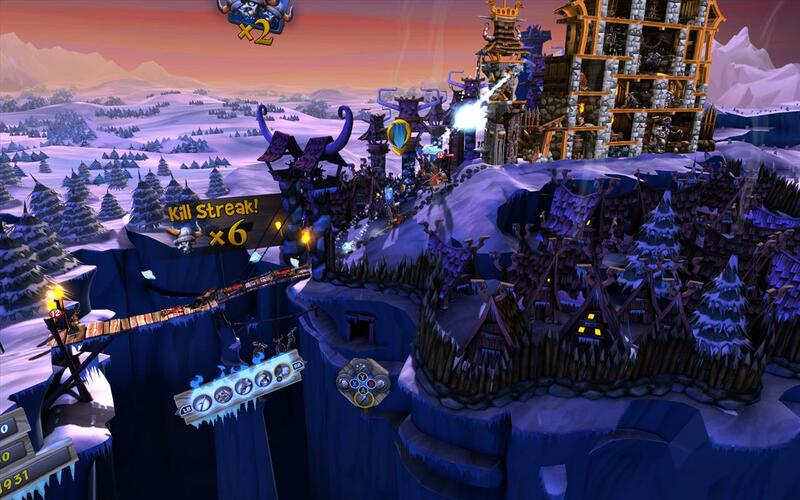 You can follow your troops and your projectiles the entire length of the board by just moving your heard. If you need to, you can still zoom in to get up close and personal as you see fit. With this new VR perspective, the game looks a lot more like an animated diorama rather than the “cartoony” presentation of the other versions. It is almost as if this is a child’s art project that has come to life. VR is also used during the cut scenes that are used to tell the story but in a less-dramatic fashion. These scenes shift you to a perspective as if you were sitting in a medieval movie theater.Yes, it sounds strange, but there is really no other way to describe it. You’re simply given a perspective as if you were sitting in a seat under the watchful eye of the Kings Guard. In these moments, the VR perspective doesn't really offer the same enhancements that you see in battle. You don't get that diorama feel and it feels pretty much like you're playing the original release on a standard television. While I really enjoyed the VR perspective and battle, the constant switching back and forth between it and the theater view feels really awkward. It is a very harsh transition that happens constantly thanks to the brevity of many of the missions. I honestly found that to be a little nauseating to play for extended periods of times, just given how drastic the transition is between the two. On one hand, while in battle, the new perspective is a blessing. The action has never looked better and having an overview of the entire battlefield really makes you appreciate just how much is going on in a match. Unfortunately, that blessing is snatched away as soon as it match ends. Then you are suddenly shoved into a perspective that feels like it was shoe-horned into the game for no reason. In the end however, you still end up with an incredible experience. Thankfully, the game lends itself to both extended and short gameplay sessions, which is one of the things I always appreciated about the earlier versions. Is very easy to jump in and spend a good 10 to 15 minutes getting your fix, just as it is to jump in and throw an hour or two into the campaign. I don't think you'll be putting in the extended time with this version, however you will be filling yourself up on those short and enjoyable experiences. 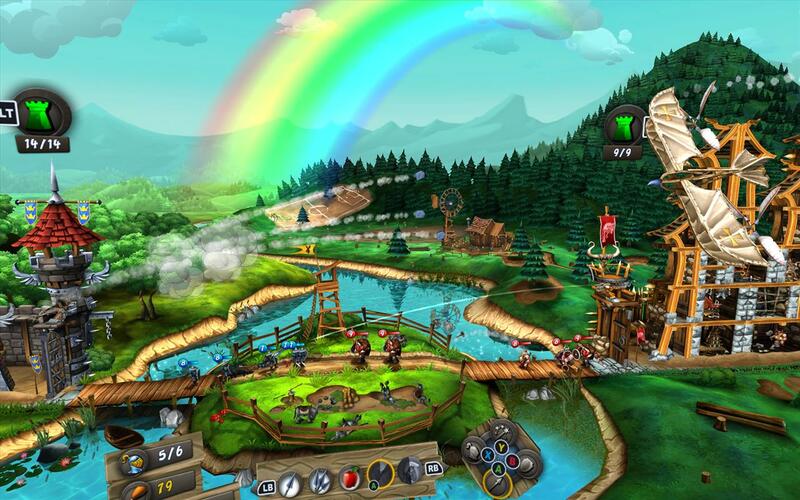 Nearly four years after the original release, CastleStorm remains one of the most robust and enjoyable offerings in gaming. There's just so much to do in the game does a fantastic job of rolling it out to you over time. You never feel overwhelmed or confused about all of the options that are at your fingertips. It is worth noting that you will definitely want to have a controller on hand with your headset in order to get the most out of the game. 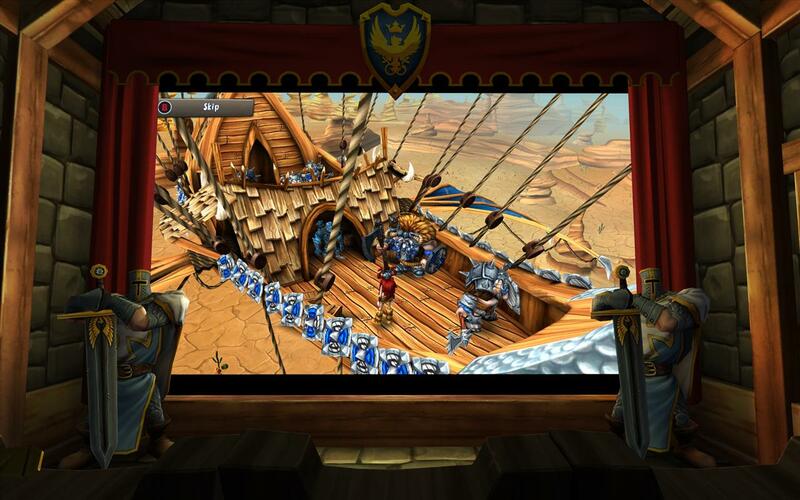 This is certainly one you'll want to show your friends as an example of how a classic experience can be enhanced with virtual reality.